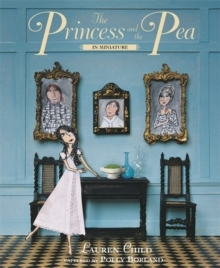 The tale of a prince, a princess, perfect politeness, pages of love and a peculiarly hard pea. This utterly original interpretation of the classic tale has dazzling illustrations from multi-talented collaborators, award-winning Lauren Child and widely acclaimed photographer Polly Borland. This beautifully presented picture book explores the tale of the down-to-earth princess through a stunning mix of artwork and photography to create a fairy tale to be treasured. This new reduced format hardback is perfect for lovers of all things miniature.